This is a small family with 13 genera with 74 species world wide. Ten species are represented in Australia (see below). 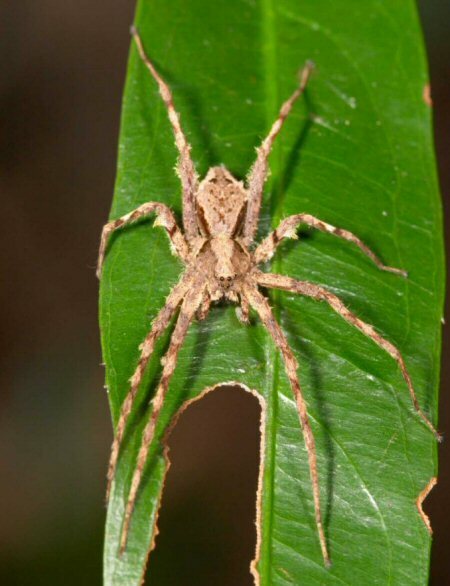 The spider resembles the Pardosa genus of the family Lycosidae. 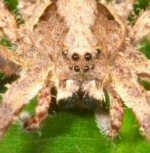 The striking difference is the narrowed carapace (head) of this spider. Also the arrangement of the eyes is a little different. Argoctenus vittatus, Australia, New Caledonia, Lord Howe Is.